Welcome! You may not realize it at the moment, but you just stumbled upon one of the most amazing creatures in the animal kingdom. 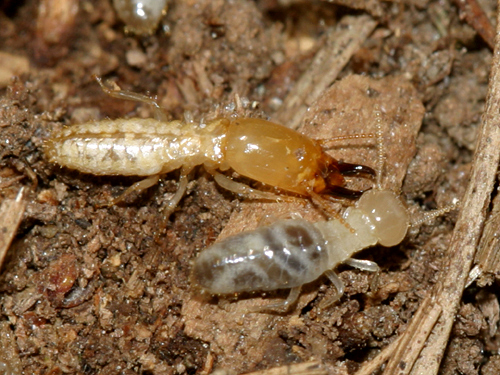 The termite Reticulitermes flavipes may have a drab, unattractive exterior, but don't let its looks fool you. It has created for itself a thriving existence by taking full advantage of the tools it was given and the environment it lives in. With that said, please take full advantage of the ecological education this creature has to offer. Reticulitermes flavipes is actually the most common termite found in North America. Most people consider them pests and they do cause hundreds of thousands of dollars worth of damage annually but in nature their colonies are very important in the process of decomposition, especially of organic materials, such as fallen trees.